Rosé wines have long been acquainted with warm weather days and provide a perfect backdrop to many of summer’s greatest food fare. Working to overcome their tainted reputation of being candy sweet, introductory wines, a true Rosé is frequently off-dry to dry in nature and displays interesting fresh fruit flavors that lean toward the strawberry and raspberry side of the fruit spectrum. Technically, a rose is an “unfinished red wine,” but the term seems so- secondary. Rose is a different sort of wine, with all the refreshing qualities of a white wine mixed with some characteristics of a red. 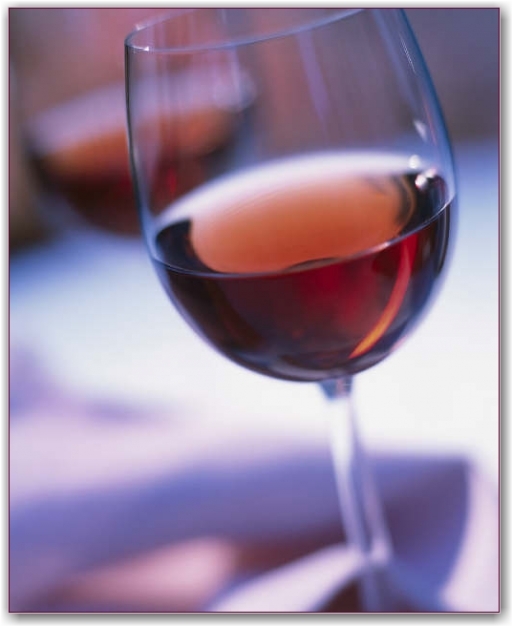 The majority of rosé wines are made from a red grape varietal. The varietals most often used in making a rosé wine include: Pinot Noir, Syrah, Grenache, Merlot, Malbec, Cabernet Sauvignon, Tempranillo, Sangiovese and of course, our American reference, Zinfandel. These varietals may be either used individually or in a blend. Rosé varietals are often country dependent, so a rosado from Spain will often be largely derived from the Tempranillo and Garnacha grapes, while Italy may utilize more Sangiovese for their rosatos and the U.S. would tend to lean towards Cabernet Sauvignon, Merlot and Zinfandel. Rosés are perfect for spring and summer, as they are served chilled and can be a refreshing accompaniment to a variety of warm weather fare. Rosé wines also top the charts for food-friendly versatility. 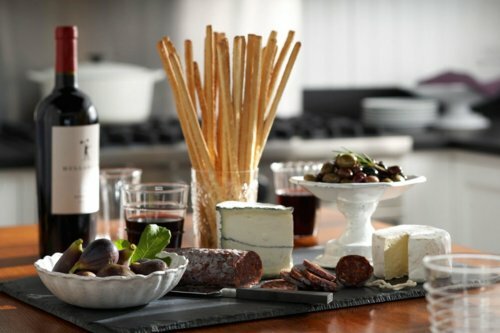 It’s also a great picnic wine, as it tends to have both a lighter body and more delicate flavors on the palate, presenting a great wine partner for a ham, grilled chicken or roast beef sandwich, along with a fresh fruit, dill potato or egg salad and can even handle a variety of chips and dips. Rosés are also the perfect guest for a backyard barbecue, tackling hamburgers, hot dogs and even sweet potato French fries with a spicy mayonnaise. Lighter flat bread and unusual pizza topped with spicy chicken or seafood can really perk up with a nice rose or blush. Try any of the top pick Rosés and you’ll be pleasantly surprised and delighted. Here’s a few that I’ve been sipping al fresco as the weather begins to warm up a bit. Sattui’s Gamay Rouge is a phenomenal Rosé that is sure to be a palate pleaser! Extended contact with the grape skins produces a rich red rose color. The flavor profile provides the palate with dramatic strawberry and a touch of bing cherry. A top pick wine to sip by the pool or pair with virtually any of summer’s bounty! The Jaboulet Côtes du Rhône Parallèle 45 Rosé 2005 is a classic French Rosé from the Rhône region. This is a vibrant Rosé with dominating flavors of raspberries and strawberries, there is a kick of spice on the finish. 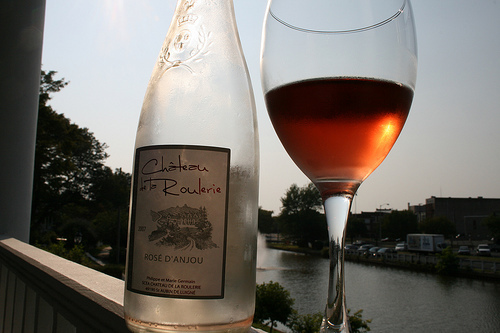 Three grape varietals are blended to make this Rosé – Grenache, Cinsault and Syrah. A great complement to grilled fish or roasted veggies. Yes, Pinot Grigio is a white grape, so how they heck is it presented as a Rosé? 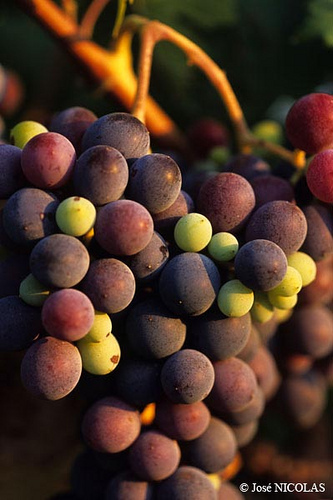 Italy’s Pinot Grigio grape has dark skin and the fermenting juice is colored by contact with this dark grape skin, producing a lovely, pink color. Fresh floral and fruit aromas are set to greet you upon first impression, followed by a slightly sweet citrus flavor. This is a perfect wine for Asian fare and seafood. Talk about a wine made for relaxed summer fun and spontaneous barbecues! This easy-going Red Bicyclette Rosé from the Languedoc region of Southern France is brimming with the fresh flavors of red fruits – strawberry, raspberry and a hint of citrus. A blend of predominately Syrah and Grenache grapes brings a refreshing well-structured wine. This Rosé is capable of handling summer’s best fare, from grilled veggies to Asian spice, certainly a wine to be stocked and ready to go all summer long! El Coto de Rioja Rosado 2005 from Spain has an intense pink color and offers a smooth palate feel, with the dominant flavors of cherry and raspberry. A terrific choice for grilled fare, pasta salads, seared tuna and summer salads. This is a fresh and lively wine with a semi-dry finish that really satisfies on a warm day. This is a hotshot dry Rosé from V. Sattui, that is sure to knock your boots off with its vibrant fresh berry flavors from start to finish. A top pick Rosé for brunches or tapas or antipasto. A to Z Oregon Rosé from Oregon is derived from the Sangiovese grapes. It highlights the flavors of cherries and strawberries, dusted in floral overtones. A beautiful wine that pairs with a wide array of summertime favorites. Bonny Doon 2005 Vin Gris de Cigare has always been a favorite of mine for warm weather. This is a fun, yet unique Rosé (would you expect anything less from Bonny Doon?). Winemaker Randall Graham is a cross between Gene Wilder and Tim Burton- part mad man and part genius. Serious summer fruits grace the palate and meld into a delicious blend of jammy juices, in Bonny Doon’s 2005 Rosé. So, go on and enjoy these wonderful wines from around the globe. They may may pink, but they’re just right for warm days and cool nights. Sante !